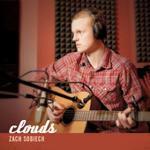 “Clouds” sold 156K digital copies this week. It re-enters Hot Digital Songs at #7. It first bowed at #199 two weeks ago and slipped off last week, before Sobiech’s story captured America’s heart. 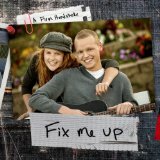 “Clouds” is also featured on the EP Fix Me Up, which Sobiech released with his group A Firm Handshake. The EP sold 19K copies last week and enters Top Pop Albums at #20. Other artists have bid farewell in songs. Warren Zevon did so with his song “Keep Me In Your Heart,” which he wrote with Jorge Calderon. The song received a Grammy nomination for Song of the Year for 2003, but failed to crack the Hot 100. Sobiech isn’t the first artist to gain widespread recognition only after his death. Jeff Buckley’s version of Leonard Cohen’s “Hallelujah” was featured on his album Grace in 1995, two years before he drowned at age 30. The song reached #1 on Hot Digital Songs in March 2008. Israel Kamakawiwo’ole’s “Somewhere Over The Rainbow”/“What A Wonderful World” was included on his Facing Future album in 1995, but took off after his death in 1997 from respiratory failure at age 38. 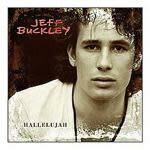 His medley has sold 3,697,000 copies. Eva Cassidy became known after her death from cancer in 1996 at age 33. Her Songbird was #1 on Top Catalog Albums for nine weeks in 2001. “Can’t Hold Us” by Macklemore & Ryan Lewis feat. Ray Dalton holds at #1 for the fourth week. It’s #1 for the fifth straight week on Hot Digital Songs. 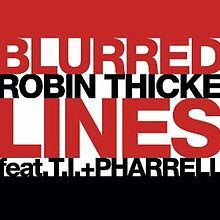 Alas, it sold just 212K copies this week, which is the slimmest total for a song at #1 on the digital sales chart since Bruno Mars’ “Locked Out Of Heaven” was #1 with sales of 197K in December. Macklemore & Ryan Lewis is one of two acts to appear in the top 10 on the Hot 100 every week so far this year. The other is Bruno Mars. “Can’t Hold Us” is #1 on Hot R&B/Hip-Hop Songs for the sixth week. “Get Lucky” by Daft Punk featuring Pharrell Williams jumps from #10 to #4. It’s Daft Punk’s first top five hit; Williams’ fourth. 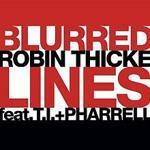 The song holds at #1 on Dance/Electronic Songs for the second week. Daft Punk’s Random Access Memories enters The Billboard 200 at #1 this week with first-week sales of 339K. It’s expected to remain on top next week. Daft Punk is one of two acts in this week’s top 10 whose name incorporates the name of a musical genre. The other is Icona Pop, whose “I Love It” (featuring Charli XCX) rebounds from #9 to #7. “Cruise” spends its 13th week at #1 on Hot Country Songs. That’s the longest run at #1 since Buck Owens’ “Love’s Gonna Live Here” spent 16 weeks on top from October 1963 through February 1964. This is the longest run at #1 by an ongoing duo since “Slipping Around” by Margaret Whiting & Jimmy Wakely logged 17 weeks on top in 1949-1950. “Stay” by Rihanna featuring Mikky Ekko drops from #5 to #8. The song tops the 3 million mark in digital sales this week. It's Rihanna's 10th song to reach this plateau, counting collabos with Eminem and T.I., on which she was featured, and another with Jay-Z and Kanye West, on which she had co-equal billing. “Stay” has reached 3 million a little ahead of “Diamonds,” which was the first single from Rihanna’s current album, Unapologetic. That smash is up to 2,988,000. 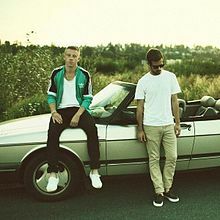 The Top Five: “Can’t Hold Us” by Macklemore & Ryan Lewis feat. Ray Dalton holds at #1 for the fourth week in its 16th week on the chart. This is its eighth week in the top 10. 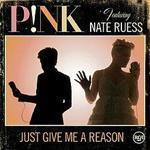 Digital sales rank: #1 (212K)…“Just Give Me A Reason” by P!nk featuring Nate Ruess holds at #2 for the fourth week in its 15th week on the chart. This is its 11th week in the top 10. Digital sales rank: #4 (184K)…Justin Timberlake’s “Mirrors” holds at #3 for the fourth week in its 15th week on the chart. This is its seventh week in the top 10. 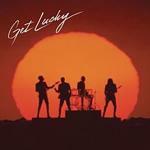 Digital sales rank: #9 (142K)…“Get Lucky” by Daft Punk featuring Pharrell Williams jumps from #10 to #4 in its sixth week on the chart. This is its second week in the top 10. 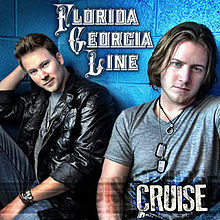 Digital sales rank: #5 (180K)…“Cruise” by Florida Georgia Line featuring Nelly jumps from #6 to #5 in its 34th week. This is its fifth week in the top 10. Digital sales rank: #2 (197K). The Second Five: Selena Gomez’s “Come & Get It” rebounds from #7 to #6 in its seventh week on the chart. This is its third week in the top 10. Digital sales rank: #6 (171K)…“I Love It” by Icona Pop featuring Charli XCX rebounds from #9 to #7 in its 17th week on the chart. This is its fifth week in the top 10. Digital sales rank: #10 (134K)…“Stay” by Rihanna featuring Mikky Ekko drops from #5 to #8 in its 16th week on the chart. This is its 15th week in the top 10. Digital sales rank: #13 (99K)… Imagine Dragons’ “Radioactive” dips from #8 to #9 in its 39th week on the chart. This is its sixth week in the top 10. Digital sales rank: #8 (148K)…Bruno Mars’ “When I Was Your Man” drops from #4 to #10 in its 23rd week on the chart. This is its 16th week in the top 10. Digital sales rank: #23 (77K). Nothing moves into or out of the top 10 this week for the first time in nearly six months. “Power Trip” by J. Cole featuring Miguel jumps from #23 to #21 in its 15th week. The song has already reached #20…Highway Don’t Care” by Tim McGraw with Taylor Swift jumps from #24 to #22 in its 13th week. The song tops the 1 million mark in digital sales this week…Swift’s own hit “22” jumps from #26 to #23 in its 13th week. The song has already reached #20…Emeli Sande’s “Next To Me” jumps from #28 to #25 in its 14th week. Anna Kendrick’s “Cups (Pitch Perfect’s When I’m Gone)” jumps from #36 to #30 in its 22nd week. Kendrick, 27, has had a varied career. In 1998, at age 12, she was nominated for a Tony as Featured Actress in a Musical for her role in High Society. In 2010, she was nominated for an Oscar as Best Actress in a Supporting Role for her role in Up In The Air. Bruno Mars’ “Treasure” leaps from #71 to #36 in its second week… “U.O.E.N.O.” by Rocko featuring Future & Rick Ross jumps from #45 to #38 in its seventh week…Luke Bryan’s “Crash My Party” jumps from #48 to #41 in its seventh week. The song has already reached #18…Ed Sheeran’s “Lego House” jumps from #52 to #42 in its ninth week… “I Need Your Love” by Calvin Harris featuring Ellie Goulding jumps from #58 to #51 in its sixth week. 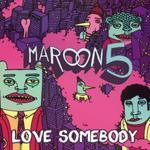 Maroon 5’s “Love Somebody” is the week’s second highest new entry at #54. It’s vying to become the fourth top 10 hit from the group’s current album, Overexposed. The first three singles from the album, “Payphone” (featuring Wiz Khalifa), “One More Night” and “Daylight,” have sold a combined total of 11,192,000 copies.The album has sold 1,335,000 copies. “We Own It (Fast & Furious)” by 2 Chainz & Wiz Khalifa debuts at #61. The song is from the Fast & Furious 6 soundtrack, which enters The Billboard 200 at #32 this week…“High School” by Nicki Minaj featuring Lil Wayne jumps from #78 to #64 in its eighth week…“Headband” by B.o.B featuring 2 Chainz debuts at #65. 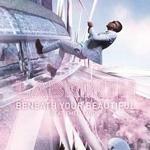 It’s from B.o.B’s upcoming third studio album, Underground Luxury. “Play Hard” by David Guetta featuring Ne-Yo and Akon debuts at #76…Capital Cities’ “Safe And Sound” jumps from #90 to #81 in its fourth week….Zac Brown Band’s “Jump Right In” jumps from #91 to #83 in its fifth week. “Beneath Your Beautiful” by Labrinth featuring Emeli Sande debuts at #88. The classy song reached #1 on the Official U.K. chart in November…Danielle Bradbury’s version of Jo Dee Messina’s 1996 country hit “Heads Carolina, Tails California” debuts at #91. Bradbury is a contestant on The Voice. Messina’s original reached #2 on Hot Country Songs. It “bubbled under” the Hot 100, peaking at #111. “Wit Me” by T.I. featuring Lil Wayne debuts at #92. It’s from T.I.’s upcoming Trouble Man II: He Who Wears The Crown. That’s a sequel to T.I.’s Trouble Man: Heavy Is The Head, which debuted and peaked at #2 in December…Brett Eldredge’s “Don’t Ya” debuts at #95. It’s from his second studio album (first to be released), due Aug. 6…A$AP Ferg’s “Work” debuts at #100. It’s from a mixtape Lord$ Never Worry by the hip-hop collective A$AP Mob, which is led by A$AP Rocky. 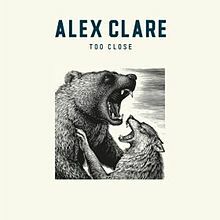 Alex Clare’s “Too Close” tops the 3 million mark in digital sales this week. The song reached #7 on the Hot 100.